You've heard the phrase "cut out the middlemen." At Smith Corona, that's exactly what we do. 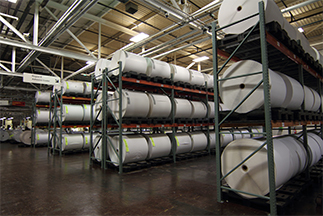 Our integrated supply chain is fully managed in-house. Because we don't contract with third parties for the different points in the manufacturing process, we control costs and ultimately create a savings of roughly 30% off typical market prices. It's simple, really. By performing all manufacturing steps in-house, we eliminate costly shipping and profit margins for multiple third-party vendors. 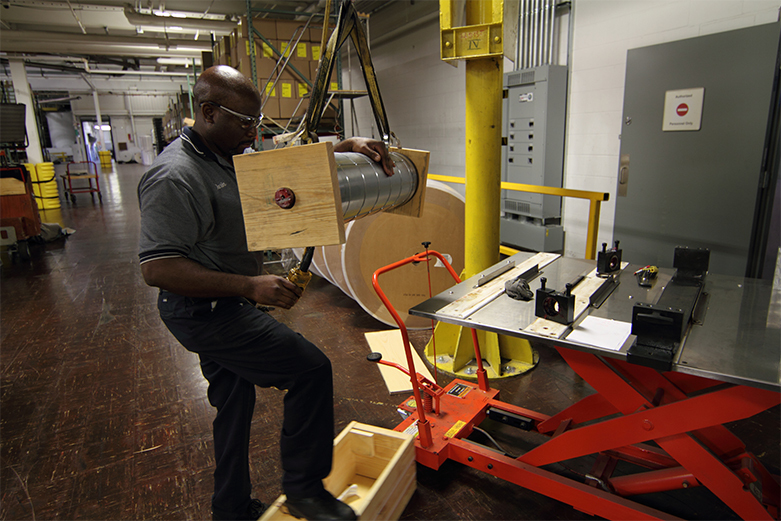 A laminator typically adds a 10% markup to add a protective coating to the raw paper stock. At Smith Corona, we laminate our stock in-house. Likewise, a converter typically adds a 10% markup for their work. We do this in-house, too. Last but not least, we don't sell at wholesale prices to a retailer. They typically need to make a margin of 10-40% on top of the wholesale cost of the labels. To eliminate this unnecessary expense for our valued customers, we sell directly to you at wholesale prices. We could sell our labels to you with a retail markup, but we don't. Why? Because we want you to save on your labels. It's really that simple. Where Does My Label Come From? 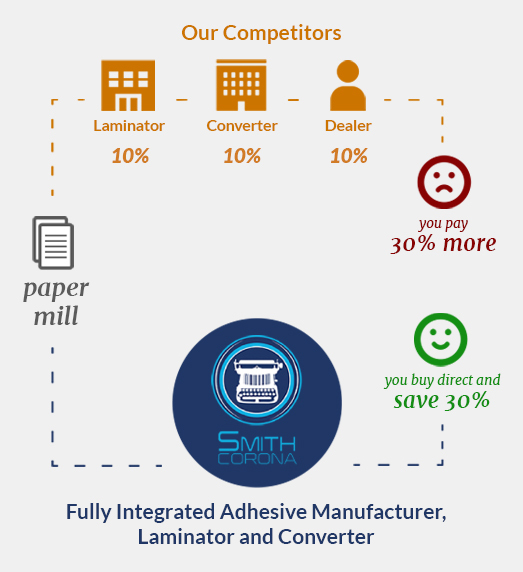 Whether you need direct thermal labels, thermal transfer labels, or a totally custom label in either format, Smith Corona is your factory-direct supplier. We guarantee the lowest price. 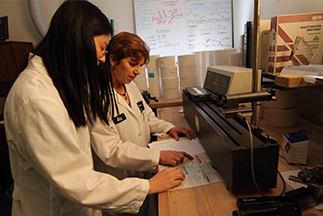 Contact us today to discuss your labeling needs. Call us at 800-875-7000 or send us an email.